Landing pages aren’t just for lead gen and acquisition – they can also help you collect feedback for your next marketing campaign. Image by Citizen Brick via Flickr. Launching a marketing campaign can be stressful. Sometimes it’s hard to gauge whether your launch will resonate with prospects or if all your hard work will go to waste with a colossal campaign flop. But it doesn’t have to be a shot in the dark. Your followers, leads and current customers are all invaluable resources. They can help you determine your product roadmap or the direction of your next marketing campaign. Here are three ways you can use landing pages to help generate and validate ideas for future marketing campaigns – for bigger impact and more conversions. If you want to launch a new campaign, why not swim with the current and create something that the majority of your audience actually wants and needs? When CSSHat set out to add new features to their product, they asked users to vote for their most wanted feature on a simple landing page. 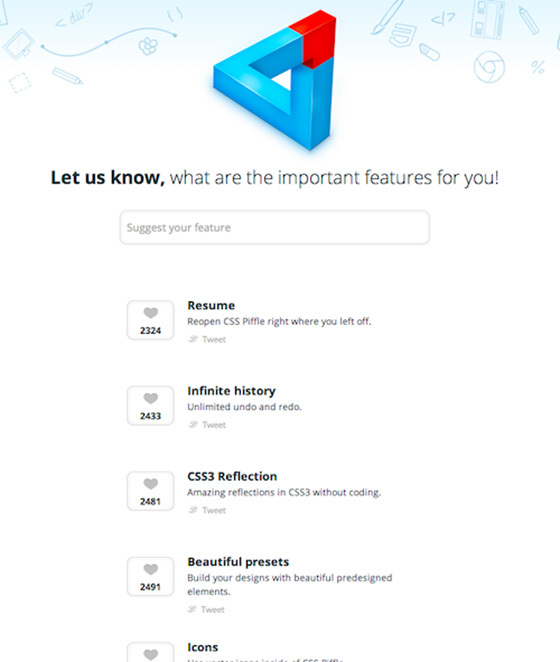 CSS Hat asked customers to “upvote” their most wanted feature on a simple landing page. Their approach added a level of gamification and collaboration to the ideation process of product development, and got their customers involved and invested in the process. Not sure what your next campaign should be? If you ask, prospects will tell you what they want. Have a few different marketing campaign ideas and not sure which will be most effective? Go straight to the source and get your community involved. Like CSS Hat, you could build a landing page that allows visitors to submit and vote on others’ submissions for crowd-sourced results. That way, you’re sure that you’re catering to the majority. We’re working on our next ebook/whitepaper. What are you more interested in? Because it can be difficult to encourage people to take surveys, it’s often necessary to offer an incentive. Consider offering a smaller piece of content – such as a checklist or exclusive access to an academy – as a bonus for those who complete the survey. 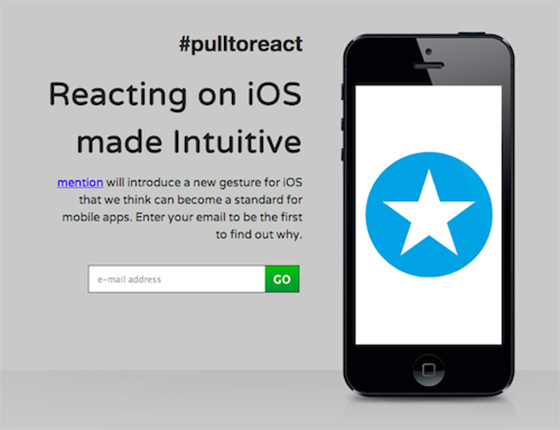 When Mention’s mobile lead, Guillaume Sempe, started working on a new feature concept for the Mention iOS app called Pull to React, the mobile team launched a dedicated landing page to validate that there was sufficient interest in the feature. Before development begins, ask your audience if they’re interested in your concept. Image via Mention. Mention sent the landing page to their mailing list and saw a conversion rate of 15.61% – translating to roughly 250 people signing up to learn more about the development process. This indicated that there was high enough interest to continue on with the campaign. Guillaume was also able to reach out to his new list of iOS enthusiasts to encourage volunteer developers to directly contribute to the GitHub repo for the project – resulting in 43 volunteer developers tinkering with, adapting and perfecting the code alongside Mention’s mobile team. Following Pull to React’s successful launch, the Mention team was able to reach back out to everyone on the list and thank them personally for taking part. This served to close the feedback loop and announce the launch to prospects who had self-selected as being interested. Though this was effective for Mention for a product feature launch, the same approach applies to any other type of marketing campaign. Want to launch a new content piece? A new social campaign? Validating your ideas first can help you save time and effort and give you the type of feedback you need to make future campaigns more successful. Before executing your next campaign, validate interest by surveying prospects on a landing page. Have a marketing campaign idea and not sure if it’ll be a hit with your audience? Create a landing page describing a piece of content you’re thinking of publishing, and see how many emails you collect. Your headline and supporting copy should be as specific as possible and clearly state the value that readers will receive. Promote your page with social media, earned distribution channels, Twitter cards, and perhaps even paid channels such as Facebook ads or promoted tweets. 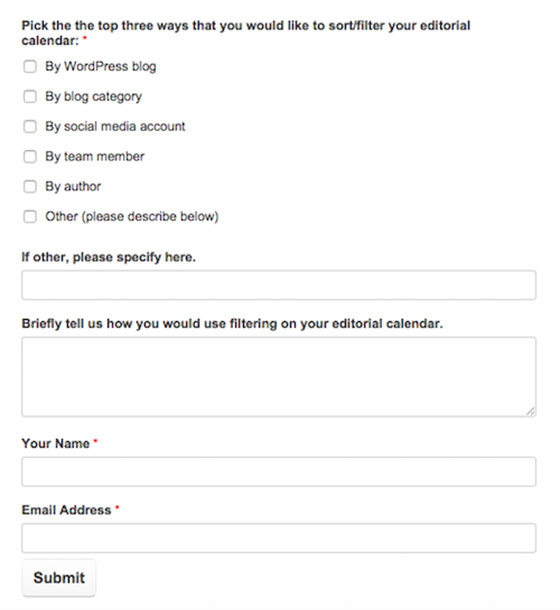 Keep in mind that if your page isn’t clear or if a form is difficult to fill out, people are likely to bounce. Optimize your landing page before you give up on the campaign entirely. Send progress updates to those who converted. Ask for thoughts and feedback — why they’re interested and what about your campaign got them most excited. This can give you valuable clues into how you should be framing your campaign messaging. After you launch your campaign, follow up with those who gave feedback. They’re likely to feel invested and want to consume and share what you’ve created. Congratulations, you have your newest brand ambassadors. Most importantly, make sure you’ve clearly mapped out your conversion goals and don’t be afraid to call it quits on a time consuming bit of content if there just isn’t the demand for it. If you’ve nailed down your topic and have lots of interest, you can leverage that when pitching to external publications with a humble brag announcing how many people have already provided their email and are waiting to receive the content. In addition to testing new features and campaigns, you can also use landing pages to gather input on projects already in the works. With this feedback, you can re-launch your campaigns for greater impact. When CoSchedule was revisiting one of their features, they reached out to their community to gather ideas for potential improvements. An excerpt of CoSchedule’s blog post in which they asked their audience for feedback. The form on CoSchedule’s landing page. 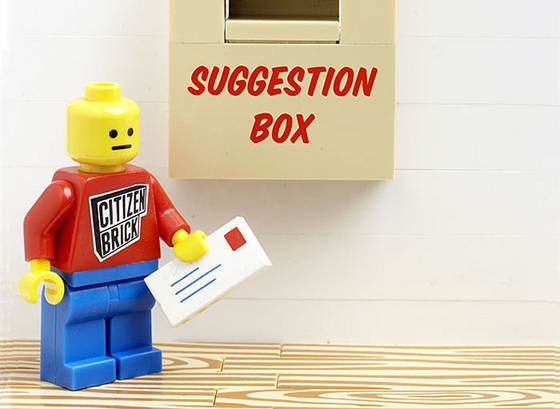 Check out some of the detailed suggestions they got! This allowed CoSchedule to incorporate that feedback into future iterations of their product. Getting ready to re-launch a campaign or product? Ask prospects how you can improve it for them. Link to your landing page in your blog post or email newsletter to drive targeted traffic to it. Your customers and greater audience will be excited to be a part of the building process. You’ve officially built relationships with a new audience and strengthened existing ones by getting customers involved in generating and validating ideas for your campaigns. Now, keep the conversation going. Check in with them. Give them time to digest the content you’ve provided, then ask them for feedback. Don’t be afraid to ask them to chime in on future campaigns. They’ll be happy to be considered such an important part of your community. Now it’s your turn. How have you gathered feedback using landing pages? Shannon Byrne is the Content & PR Manager for Mention where she crafts words, creates strategies, and recruits loyal brand advocates. She's based in New York. Say hi @ShannnonB.